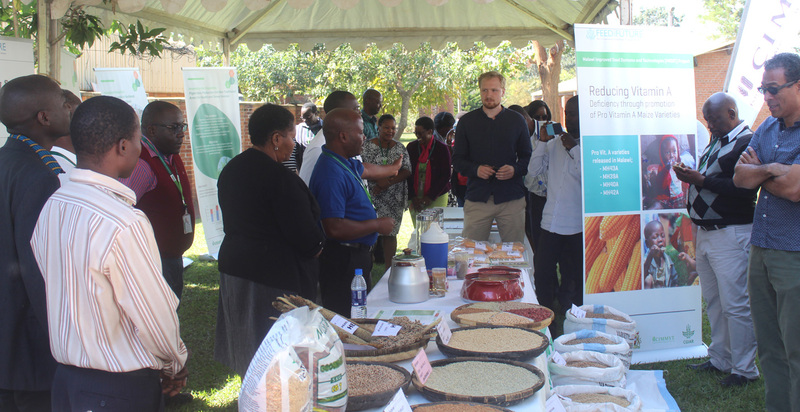 An Innovation Open Forum was organized at ICRISAT-Malawi to bring together donors, government officials and other stakeholders in the agriculture sector. Groundnut shelling machine: The newly developed groundnut shelling machine is reported to have reduced shelling time by 90%. New dryland cereal and legume varieties: This included 12 ICRISAT-bred groundnut varieties, as well as promising sorghum and millet materials in the pipeline with potential to boost production in the drought prone areas of Malawi. 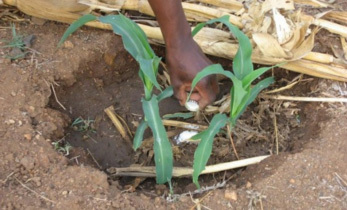 Efforts that are underway, in collaboration with the Nairobi and Ethiopia programs, to fast-track the release of chickpea varieties for commercial production in Malawi was highlighted during discussions. 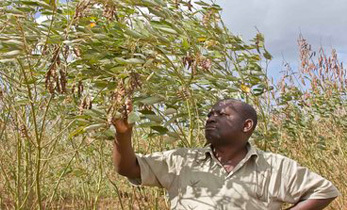 Newly-introduced ‘Double up legume technology’: This involves intercropping pigeonpea and groundnut. 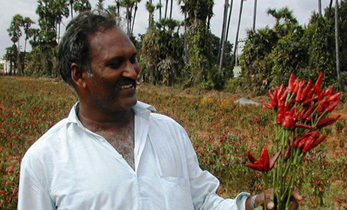 Due to this intervention, the average yield of all ICRISAT mandate crops increased from 800 kg to 1100 kg per hectare. The technology will be used to promote pigeonpea in the crop’s non-traditional areas, namely, the central region of Malawi where groundnuts are the main legume. 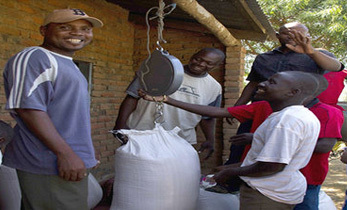 Aflatoxin management intervention: This has opened doors for legume exports in Zambia. 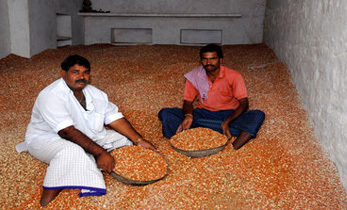 Previously farmers were producing legumes with aflatoxin levels way above international standard. 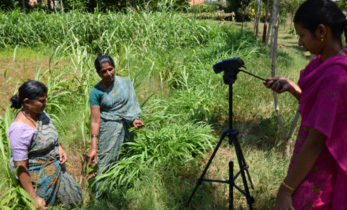 Other technologies that were showcased included agronomy and small farm mechanization, post-harvest handling and food safety technologies focusing on aflatoxins and nutrition, as well as management tools for programs and research activities. On his official trip to Malawi Dr Bergvinson met Ms Erica Maganga, Principal Secretary, Ministry of Agriculture, Irrigation and Water Development, Malawi. He presented a bag of certified pigeonpea seed and discussed issues related to fast-tracking variety release and scaling up dryland cereals.